The Royal Aero-Fleet, RAF for short, is the air arm of the Commonwealth’s military. 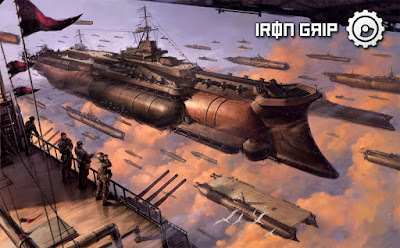 It has under its command skyships, airships and aircraft of various different types from fighters through to bombers and transport craft. It is organized into a number of different ‘commands’ such as Fleet Command, Fighter Command, Bomber Command, Transport Command, etc. Below the various Commands in descending order there is Fleets or Groups (dependent on aero-vessels or aircraft), Wings, Squadrons and Flights. In addition there are a number of air bases called stations that either come under the control of a specific Command or host units from different Commands. These stations are typically named after the nearest settlement of note, for example Royal Aero-Fleet Station Corbhen (RAF Corbhen for short) is named after the nearby town of Corbhen. Squadrons of aircraft range from 12 aircraft for a fighter squadron through to nine for a bomber or transport squadron, though they are usually further broken down into flights. Two to three aircraft squadrons typically make up a wing, in turn at least two wings form a group. A wing is normally the largest grouping of aircraft found on an aero-carrier, though groups of multiple wings from different aero-carriers may be formed on a temporary basis for specific missions. Likewise, a wing is also the largest formation that can be found at a RAF station with a number of stations coming under the command of a permanent group HQ. Overall command of the Royal Aero-Fleet is the Air Ministry, headed by the Lord Air Admiral who is the professional head of the Royal Aero-Fleet. The Lord Air Admiral is a position held by the highest ranking officer in the RAF. Like any military force, the Royal Aero-Fleet boasts a number of ranks ranging from enlisted ratings through to commission officers. Admiral of the Aero-Fleet – Usually held only by a single person and generally only during wartime. The enlisted ranks will also have a ‘rating’ denoting their specialization such as Machinist’s Mate 2nd Class for example. The Royal Aero-Marines, nicknamed the 'Rams',serve as the infantry troops of the Royal Aero-Fleet and serve in a wide range of roles. They serve onboard skyships either to maintain security onboard, take part in boarding actions and even man some of the aero-vessel's weapons. On the ground they protect RAF bases and installations, either by helping to maintain the security of the base or actively defending it by manning anti-aircraft weapons. The Rams are part of the Royal Aero-Fleet, though they use traditional army ranks instead of the RAF's own rank structure. Only differences in ranks is that the Rams use Gunner for the rank of private and Flight Sergeant for its Staff/Colour Sergeants. Relatively new weapon introduced by the Commonwealth following experiences during the Great Darmonican War, it is used by both the Rams and the Wolfbane Commandos as well as other specialist units. It is effectively a bullpup assault rifle, having a shorter overall length whilst maintaining a full length barrel. It is a compact weapon ideal for the close-quarters that the Rams fight in during boarding actions. This is very similar to my Pulp Action Hour setting I've been cobbling together! Very cool work!